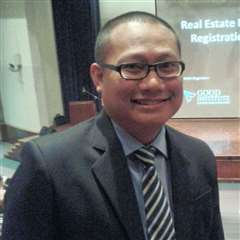 Malaysia Real Estate Agent / Property Negotiator Capt Shah's Property Listings | Azmi & Co. (Perak) Sdn. Bhd. ShahProp Management Services;in Ipoh, over the years of efforts in building trusts and represent owners in selling their properties, our team members is proud be in service and affluent in dealing on local real estate market such as selling Houses, Shops, Factories and Lands in Ipoh.As an active property negotiator under this company with branches nationwide I have been active in the industry for more than 3 yrs, I'm assure to be able to provide you the right guidance and represent the property owner who wish to sell their property to the right buyer at the right price. You may call me directly at 016-4213591 for a discreet conversation on selling your property or if you are looking to buy any of my client's property in my listing.